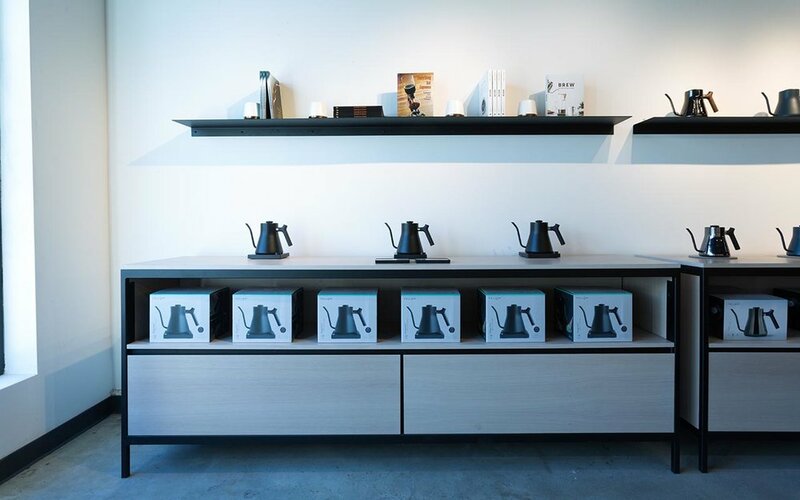 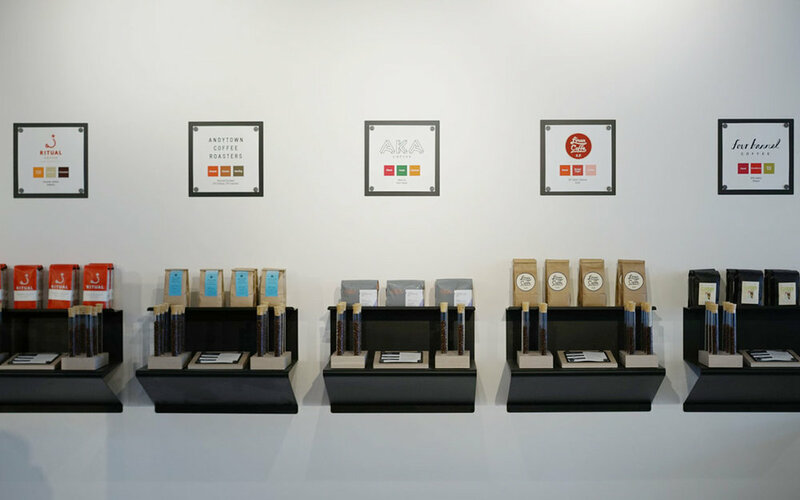 Fire Road collaborated with San Francisco based coffee device company Fellow Products to design and build custom tables, cabinets, shelves and seating for Fellow's new retail and educational space in the Mission District. 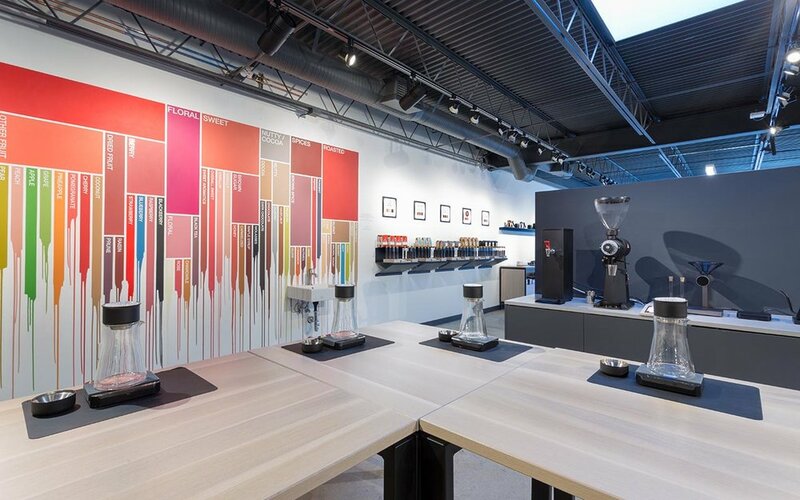 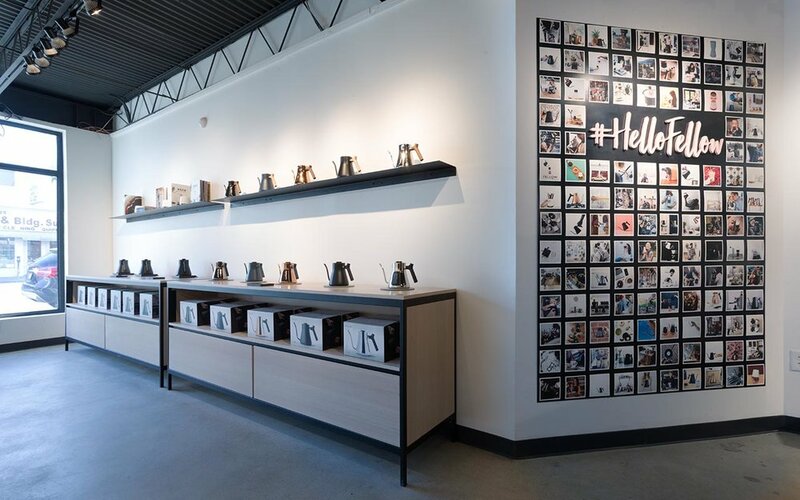 We used white stained oak for all woodwork and black powder coated steel for all metal fixtures to create a modern, industrial and inviting retail environment. 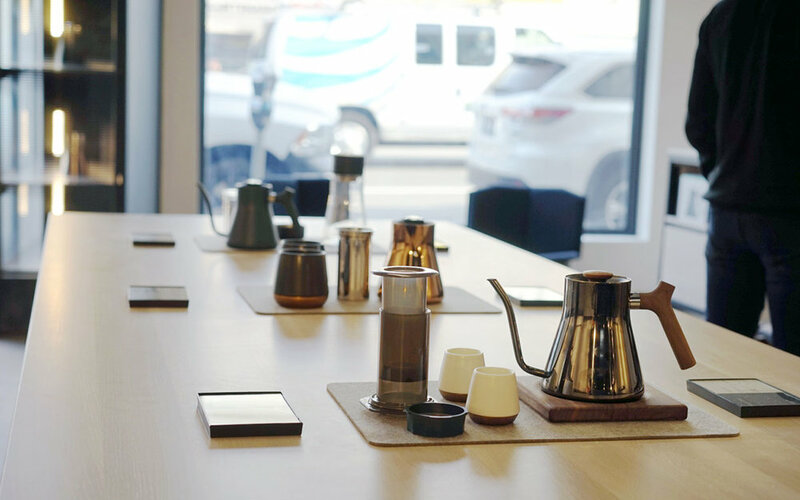 Fellow makes quality, innovative and beautiful products for brewing the perfect cup of coffee at home, you can see their work at fellowproducts.com.